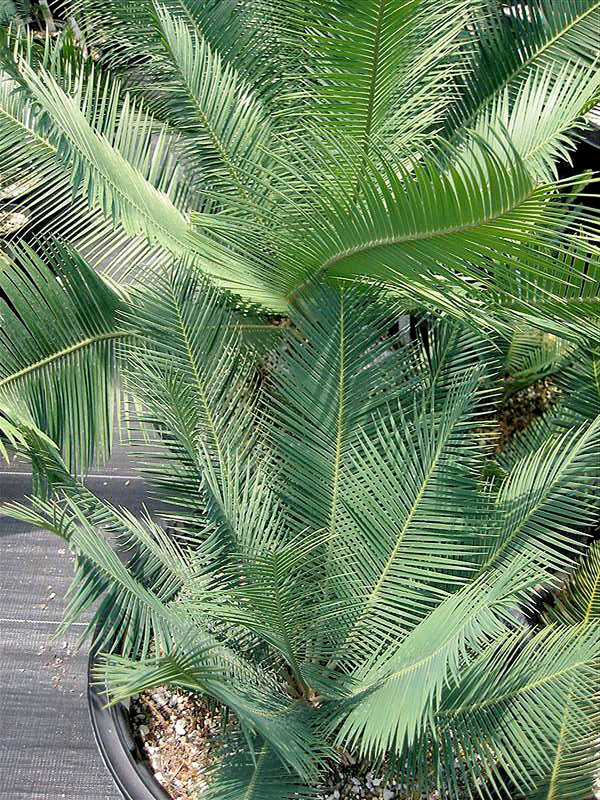 Dioon angustifolium is a very graceful, cold hardy and heat-tolerant drought resistant cycad. Dioon angustifolium gets its name from its narrow leaflets, as "angusti" is Latin for "narrow", “folium” for leaves. Among other features, compared to Dioon edule, Dioon angustifolium has finer leaflets, which are silver-grey when young. They often emerge bright a bright orange-red color, before fading to a blue-green. Please click here to see a larger detailed image of this plant. According to the Palm and Cycad Society of Australia (PACSOA) website, Dioon angustifolium "is often regarded as a more attractive garden plant" than Dioon edule.